I am on the Tier II Program in Georgia. I am confined to an isolation cell 24 hours of every day. I'm not allowed outside my cell for any reason, other than to shower three times a week. I'm not allowed ANY phone calls, visits, photos (of either friends or family), nor am i — unlike other prisoners — allowed to posess the recently distributed electronic communication device. My entire waking moment is expended ONLY on either legal or political endeavors (this includes assisting others in such endeavors), even if it simply entails me devouring some relevant item of legal or political literature. In light of the intensity of my torture and the urgency of my struggle — our struggle — nothing else is relevant enough to warrant my attention or time. The enemy succeeded in depersonalizing me — in dehumanizing me — in emotionally and psychologically MURDERING me! — a long time ago, before i even became aware of the fact of my systematic, gradual death. But as a result of my "death" i've grown to be as militant (and stoical) as they come. My creed is simple: "If it doesn't concern the political, it doesn't concern me." Frantz Fanon in his Wretched of the Earth stated that "any torture deeply dislocates, as might be expected, the personality of the tortured." I cannot state, with certainty, that i would have — or that i even could have — grasped the gist of Fanon's statement were it not for my own continual involuntary subjection to torture. But to return from my digression, my lawsuit concerning the Tier II Program raises a number of colossal implications. For one, my case is the leading case attacking the inadequate due process procedures attendent upon both a prisoner's initial and continued assignment to the Tier II Program, as well as contesting, in the so-called civil and human rights context, the totality of the Tier II program confinement conditions. What this means is that my case is inevitably going to set the precedent (the criterion) by which all other subsequent Tier II cases are to be handled in the judiciary. Moreover, with regard to my motion requesting to be released from the Tier II Program, that issue is currently pending in the court of appeals for the Eleventh Circuit. If i am successful at the appellate level — and it looks as though i will be — the favorable ruling would provide prisoners with a vehicle through which to remedy "unlawful" or otherwise erroneous assignments to the Tier II Program (and ALL assignments of prisoners to the Tier II Program are arbitrary and intentionally carried out by prisoncrats in derogation of formal Departmental policy). But most importantly, my case — because it is the test case — is going to settle (for better or worse) important questions with respect to both the civil and human "rights" of prisoners nationwide. Such is the significance of my case. But even a string of "bad" decisions would still be "good" for the anti-imperialist movement, because it would only further "expose the fallacies of the reactionaries"(Mao), here, the futility of the Amerikkkan court system. In any event, i will be forwarding the Prisoners' Legal Clinic some relevant court documents from my case within the next week or so, if only to keep you abreast of developments. Actually, the trial court, to its credit, has already condemned the confinement conditions of Tier II as "so egregious that a constitutional right was clearly violated. "(Nolley v. Nelson, No. 5:15-cv-75-CAR(M.D.Ga. ), Doc. 50, p. 29. In August of 2016, a comrade was written up for possession of Security Threat Group (STG) contraband and given a 115 Rules Violation Report(RVR). This was in direct violation of the Ashker v. Brown class-action settlement agreement terms around "Due process" as described below. The new rules to reform isolation practices in California didn't even eliminate the outrageous practice of using drawings and greeting cards as reasons to put people in isolation in California. The "due process" clause was the only promising term of the weak Ashker settlement, and it seems CDCR does not intend to uphold it. Political repression is the clear motivation here, as the target is a well-known anti-imperialist who works tirelessly for the improvement of the New Afrikan nation. On August 4, 2016, CO J. Hunter reviewed [XYZ]'s outgoing mail and found a drawing that included the image of a gorilla. In past investigations, he received information from unnamed BGF members and associates that the "Silverback Gorilla is symbolic for the strongest force of the Guerrillas much like how the Silverback Gorilla is considered to be the dominant leader amongst a family of gorillas." The word "Gorilla" can be found in various documents used by the BGF. He provides one example: The "I Stand Firm Oath" of the BGF includes a verse stating "Long live the graceful guerrilla." The BGF recognizes the gorilla as a symbol of stability and power. The Office of Correctional Safety has established the credibility regarding the meaning of these symbols. [XYZ] was found guilty of this offense and given 30 days confinement to cell, leaving only to shower. I have written him for these documents. [XYZ] points out that item #1 above is based on unnamed confidential informants who allegedly have connected the "gorilla" animal with the BGF. However, CDCR has not complied with its own rules regarding confidential information (no 1030s, etc.) Also, this sentence makes no sense. 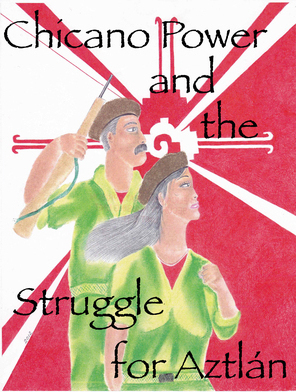 Who are the "Guerrillas"? Does he mean BGF members or BGF leadership? The picture depicts several fierce animals (lions, tigers, elephant, Pharaoh hound) and various male fighters who look more Aztec than African (to me). The gorilla does not dominate, nor is there anything else in the picture to suggest an STG. The word "Gorilla" does not appear in the "I Stand Firm Oath" of the BGF. I was unable to find such an oath on the internet, but did find a BGF oath on a police-oriented website — see attached memo. It does not contain this term or phrase. The officer cites no authority for this claim, or is citing the confidential informants described above, without providing proper documentation. The BGF's view of the gorilla as a symbol of stability and power is also asserted without attribution, or it is attributed to confidential informants. The statement about the OCS establishing credibility is insufficient. Credibility is a term referring to people — the statement does not say who the people are. But broad reference to another CDCR office establishing the credibility of an informant or the reliability of the information seems like an end run around the responsibility of the hearing officer. Finally, on what authority does the mere drawing of an animal among other animals constitute gang contraband? I have done a little internet research on the "Silverback gorilla." Apparently, this refers to a mature male gorilla whose back hair has turned grey with age. He is the "alpha male" among the group of gorillas that he lives with. The drawing does not purport to be a Silverback gorilla. It doesn't say it is a Silverback nor can you see his back. We can guess that the gorilla in the picture is male, but even that is not necessarily true. That the officer brings up the "Silverback gorilla" is suspect to me. He is making himself sound like he knows more than he really knows. He does not purport to be an expert himself, yet by throwing out this term, he is making himself sound knowledgeable. In our last update letter to United Struggle from Within (USW) comrades in California, we announced that the California USW Coordinator would be working with the California USW Council to provide better, more regular updates in ULK to coordinate our campaign efforts in the state. This will also reduce the need to send out separate letters except in time-sensitive instances. This issue of ULK is the first with such a CA-focused section. One issue that came up among CA USW recently is restrictions on mailing stamp donations. This was happening at CSP-Sacramento, and more recently reported from West Valley Detention Center. In ULK 36 (3 years ago), we printed a report from San Quentin where they successfully campaigned against the same issue through a combination of 602 appeals and letters to the press exposing these restrictions on freedom of expression. If readers have other examples of successful tactics around this issue, or rules to cite, send them to MIM(Prisons) for the next issue. In "Broad Participation in September 9 FAM Prison Strike" we refer to the challenge of organizing in California with more comrades in county jails not under CDCR control. Perhaps this will be a temporary setback though, as prisoners organized a recent strike in Santa Clara County. On 17 October 2016, over 300 people went on hunger strike, according to the Prisoner Hunger Strike Solidarity coalition. The demands were around ending solitary confinement, inadequate clothing, a faulty appeals/grievance process and the overcharging at commissary. The strike was suspended after less than a week, when the sheriff's department agreed to the demands. Comrades will maintain the strike in suspension until the changes are actually made. MIM(Prisons) commends the organizing efforts of these comrades and the focus on key campaign issues of solitary confinement and the grievance process. The number of people being held in SHU has dropped sharply since the Ashker settlement (see "Torture Continues: CDCR Settlement Screws Prisoners" in ULK 46 for more background). The review process has been completed, and 1,512 of the 1,557 people covered by the settlement have been released from SHU according to CDCR, with the remaining given dates for release. The number in SHU cells in California is about 1/6 of what it was before the settlement, with less than 500 SHU prisoners as of August 2016 (according to CDCR statistics). But we know a number of our readers are still in SHU, and many more are in other forms of long-term isolation in California, which is not covered by the settlement. 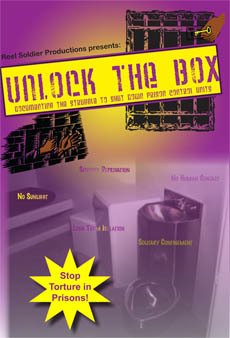 We must remain vigilant now to continue the fight against solitary confinement in California. As we've always pointed out, these reforms with such narrow focus only make it harder for those who remain in these torture cells to get out. SHU cells represented less than a quarter of the prisoners in California in long-term isolation according to our last count prior to the recent decrease in SHU (see www.abolishcontrolunits.org/research). But as the comrades in Santa Clara have demonstrated, this battle is still alive in the hearts of prisoners. We sent you a Certified letter stating that the Lucasville hunger strike began 5 July 2016. Here's an update on the Lucasville hunger strike. I was the last comrade to terminate the strike, out of 20 comrades. There were 7 who were successful. These comrades have been sent back to general population. The issue of the practice of excessive solitary confinement is still an issue at Southern Ohio Correctional Facility. Brothers who spend lots of time in solitary confinement are subjected to the worst form of psychological abuse which can affect a person long after he or she has been released into society. The Warden claims that changes in Lucasville are in progress. My strike ended on 25 August 2016. If the Warden doesn't work to end the torture and abuse at Lucasville, we will start the hunger strike again. Thanks for printing this. We need your support. MIM(Prisons) responds: We thank this comrade for keeping us informed on the status of the hunger strike and the immediate results. It will take a long concerted effort to end abuses in prisons, and we believe it will also take changing the economic system we live under. We commend these comrades for their resolve to go on strike again if needed. We also encourage them to educate others on the history of this struggle and how it fits into the struggle against injustices worldwide, and try to get them involved. Only through long-term organizing, building and fighting, will we be able to take down the system of imperialism and replace it with a system that serves the majority of the world's people. At that point we will have the power to eliminate oppressive structures that reinforce capitalism, like the criminal injustice system and its many tools of social control.